Mohinga to a Myanmarese is like what a hamburger is to Americans or pasta to Italians. Its a fast food dish found on the street aisles to teahouses around the country. Mohinga is rice vermicelli in thick fish gravy with slivers of fish meat, sliced banana blossom, crushed crispy fritters, chives, sliced boiled eggs and a lot of wholesome goodness. In our limited and short experience eating mohinga in Myanmar, we found much inconsistency with the quality and taste from stall to stall. Some were bland, most too salty and some just middle road. If we had to pick a favourite, it certainly has to be at the Unison tea house in Mandalay city in Myanmar. Located in somewhere on 71st street and 30th street, this restaurant serves up many other amazing tasty street food popular to the Burmese palate such as biryani, chapatis, naan, murtabak, steamed buns, and fried noodles. Having visited this restaurant three times during our visit, we can certainly attest to the great taste offered at very affordable prices. Myanmar is an agricultural country. Ninety percent of the populations are farmers. The main crop is rice and it is not uncommon to eat rice or rice derivatives for breakfast in Myanmar. Rice noodles are given three names according to size. The biggest noodles, which are a bit smaller than Udon, are called Nangyi. Salad made of Nangyi is called Nangyi salad. Smaller noodles are called Nantay. The noodles like flat noodles are called Nanpya. Noodles used in Mohinga are Nanthay (small noodles). These small noodles are eaten with chicken, fish, prawn, fritters and vegetables as salad. The salad is served with thin gravy and is called Motilakthoke. It is common for Myanmar people to eat this noodles salad with soup. The word ‘Mote’ was first used in the local literature of Myanmar by a famous playwriter of the Konbon period who wrote “round rings like Motehin ” in one of his plays. Since Mohinga is called Mote in some regions, it can therefore be assumed that Mohinga was already in existence in the 18-19 century AD period. 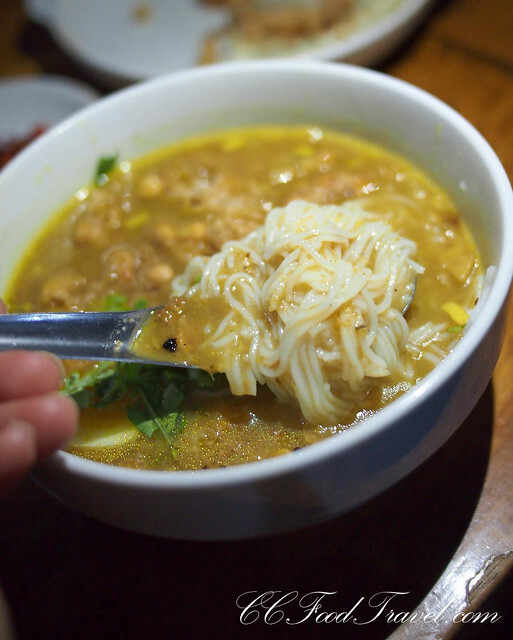 In Southern part of Myanmar, there are variations on this noodles. Apart from above mentioned ingredients, Ngaiji (a small fresh-water catfish – Heteropneustes fossilis), Ngakhu (another kind of fresh water catfish – Clarius batrachus) and Ngapano (a small snake-head fish – Ophiocephalus punctatus) are used in cooking Mohinga. These are the best sorts of fish for the Mohinga – other types fail the flavour or texture test. Anyway, in Myanmar, local folk eat Mohinga daily. Moreover, it is easily available, cheap and tasty. And it can be served at the roadside stalls, the markets, or as high class as being served at the special receptions and functions. These days Mohinga is ‘in vogue’ in Myanmar among both Myanmar people and foreigners! So we have found our favourite place to eat mohinga amongst other great Myanmar dishes, where is your favourite place for Mohinga? 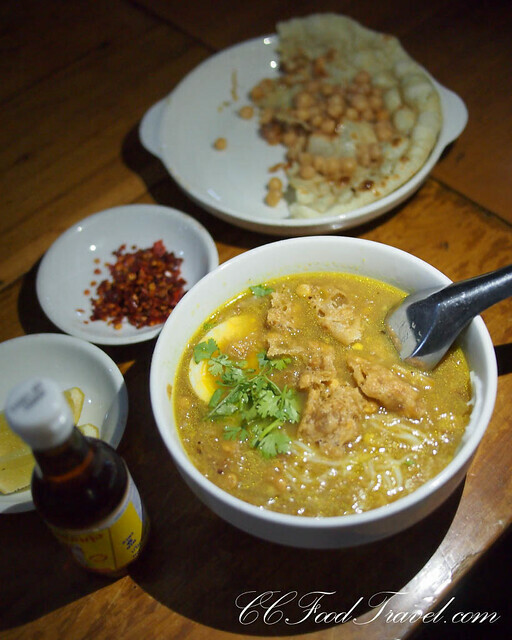 Mohinga can be found in Malaysia’s Kota Raya area – little Burma it’s called. That’s where we go in KL for our fix. Cooked by the Myanmar folk, it’s damn good too! I love rice noodles but not so sure about the thick fish gravy. 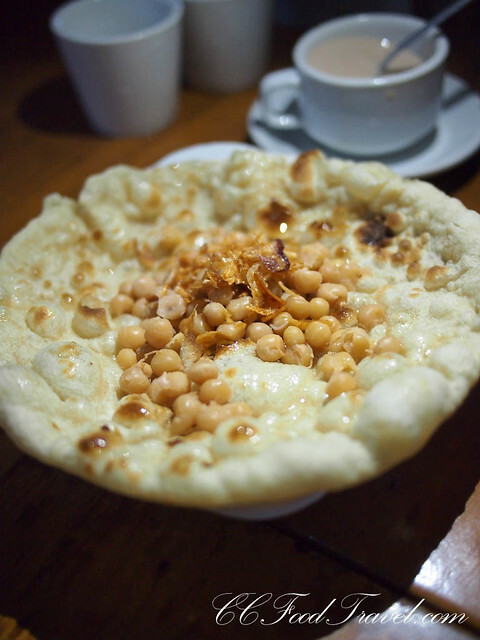 I would be very happy though with that naan and chickpea combo. Great food photos as always. the names sounds cool like some indian cuisine. Because I feel like getting Hairy.. and Dirty.. With YOU And I don’t mind using both my hands either. Hairy crabs…..